Firm: Davis & Crump, P.C. Martin Crump, principal in Davis & Crump, P.C., has approximately 20 years of experience in successfully handling complex pharmaceutical, medical device mass tort litigations. Throughout the years, he has consistently been recognized as a leader amongst his peers because of his hard work and dedication to the law. Driven by his commitment to his clients, Martin is known for his no-nonsense approach and for going the extra mile to recover on behalf of the people he represents. Martin is a strong supporter of his alma mater, Mississippi State University, where he obtained his Bachelor’s degrees in Psychology and Philosophy, with a minor in Religion. He received his Juris Doctorate from Oklahoma City University. While attending college, Martin was a surveyor technician with the U.S. Army Corps of Engineers. He also served his country in the U.S. Army and the U.S. Army Reserve for eight years. During this time, Martin participated in Operation Desert Shield/Desert Storm as well. These experiences, his work ethic and his desire for public service drew him to a career protecting individuals’ rights. Martin is very active in the legal community. Some of his professional memberships include the American Association for Justice, Mississippi Association for Justice, American Trial Lawyers Association, Southern Trial Lawyers Association, Mass Tort Trial Lawyers Association, and National Trial Lawyers Association. In addition, Martin has been recognized by the American Trial Lawyers Association as one of the Top 100 Trial Lawyers each year from 2009-2015. He has been selected one of the “Best Attorneys of America” by Rue Ratings. Martin is also a member of both the Million Dollar and the Multi-Million Dollar Advocates Forum. He is licensed to practice law in the states of Illinois, Massachusetts, Mississippi, Missouri, New York, Pennsylvania, Texas and the District of Columbia. Through the years, Martin has represented thousands of clients in scores of pharmaceutical/defective medical device litigations, such as Trasylol, Gadolinium, Avandia, transvaginal mesh, hormone replacement therapy, Bausch and Lomb, and Vioxx. 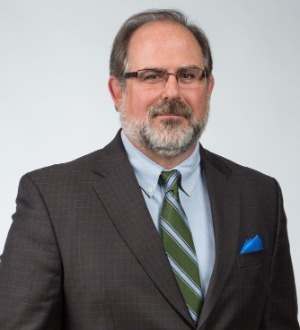 He has also served on the plaintiff’s steering committees in the Hydroxycut, Chantix, Sketchers, Bard, Ethicon, Boston Scientific, American Medical Systems, Propecia, Lipitor, Testosterone and the Bair Hugger litigations. Currently, Martin serves as Co-Head Counsel of the Cook MDL and is a member of the Plaintiffs Executive Committee for the Viagra Melanoma MDL. Martin is active in various state court litigations around the country and specifically has been appointed as Co-Lead Counsel in the Hydroxycut litigation in Philadelphia and the Skechers litigation in Los Angeles. His service on the leadership committees shows his firm’s commitment to the various litigations in which Davis & Crump is involved.